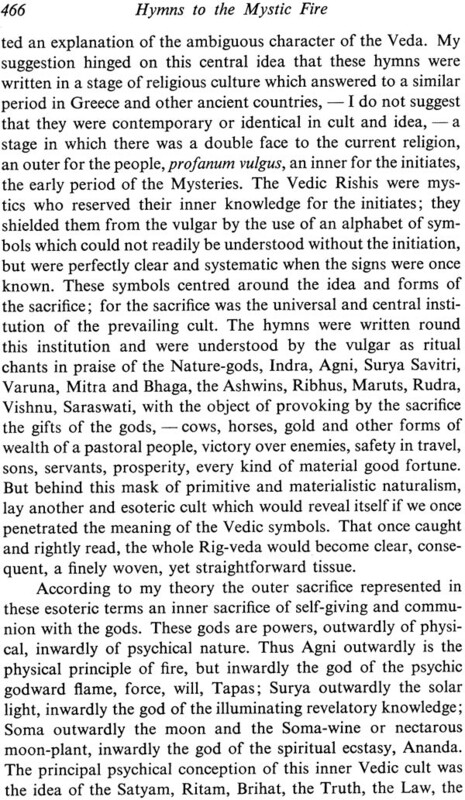 But what then is the secret meaning, the esoteric sense which emerges by this way of understanding the Veda? The thought around which all is centred is the seeking after Truth, Light, Immortality, There is a Truth deeper and higher than the truth of outward existence, a Light greater and higher than the light of human understanding which comes by revelation and inspiration, an immortality towards which the soul has to rise. We have to find our way to that, to get into touch with this Truth and Immortality, sapanta rtam amrtam, to be born into the Truth, to grow in it, to ascend in spirit into the world of Truth and to live in it. Sri Aurobindo was born in Calcutta on 15 August 1872. At the age of seven he was taken to England for his education. He studied at St. Paul's School, London, and at King's College, Cambridge. Returning to India in 1893, he worked for the next thirteen years in the Princely State of Baroda in the service of the Maharaja and as a professor in the state's college. In 1906 Sri Aurobindo quit his post in Baroda and went to Calcutta, where he became one of the leaders of the Indian nationalist movement. As editor of the newspaper Bande Mataram, he put forward the idea of complete independence from Britain. Arrested three times for sedition or treason, he was released each time for lack of evidence. Sri Aurobindo began the practice of Yoga in 1905. Within a few years he achieved several fundamental spiritual realisations. In 1910 he withdrew from politics and went to Pondicherry in French India in order to concentrate on his inner life and work. 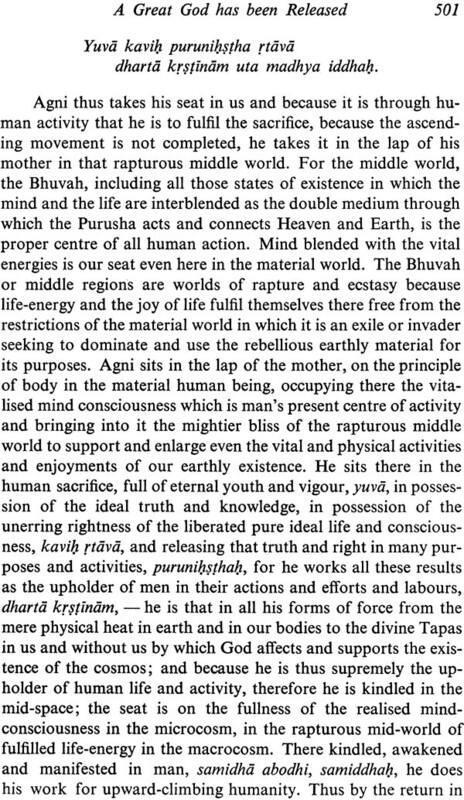 Over the next forty years, he developed a new spiritual path, the Integral Yoga, whose ultimate aim is the transformation of life by the power of a supramental consciousness. In 1926, with the help of his spiritual collaborator the Mother, he founded the Sri Aurobindo Ashram. His vision of life is presented in numerous works of prose and poetry, among the best known of which are The Life Divine, The Synthesis of Yoga, Essays on the Gita and Savitri. Sri Aurobindo passed away on 5 December 1950. 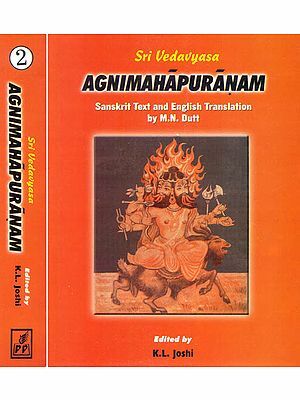 In Ancient times the Veda was revered as a sacred book of wisdom, a great mass of inspired poetry, the work of Rishis, seers and sages, who received in their illumined minds rather than mentally constructed a great universal, eternal and impersonal Truth which they embodied in Mantras, revealed verses of power, not of an ordinary but of a divine inspiration and source. 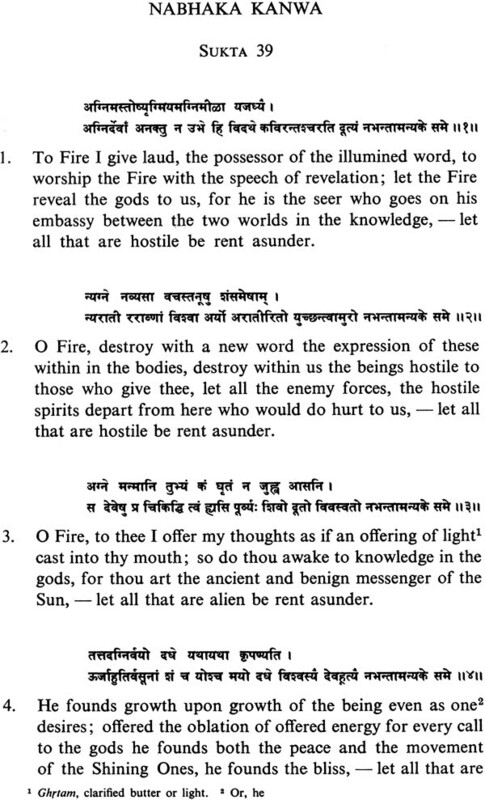 The name given to these sages was Kavi, which after- wards came to mean any poet, but at the time had the sense of a seer of truth, - the Veda itself describes them as kavayab satyasrutah, "seers who are hearers of the Truth" and the Veda itself was called, sruti, a word which came to mean "revealed Scripture". The seers of the Upanishad had the same idea about the Veda and frequently appealed to its authority for the truths they themselves announced and these too afterwards came to be regarded as Sruti, revealed Scripture, and were included in the sacred Canon. 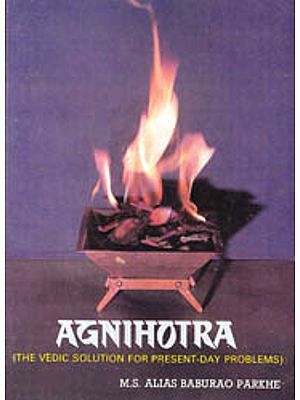 This tradition persevered in the Brahmanas and continued to maintain itself in spite of the efforts of the ritualistic commentators, Yajnikas, to explain everything as myth and rite and the division made by the Pandits distinguishing the section of works, Karmakanda, and the section of Knowledge, Jnanakanda, identifying the former with the hymns and the latter with the Upanishads. This drowning of the parts of Knowledge by the parts of ceremonial works was strongly criticised in one of the Upanishads and in the Gita, but both look on the Veda as a Book of Knowledge. Even, the Sruti including both Veda and Upanishad was regarded as the supreme authority for spiritual knowledge and infallible. Is this all legend and moonshine, or a groundless and even nonsensical tradition? Or is it the fact that there is only a scanty element of higher ideas in some later hymns which started this theory? 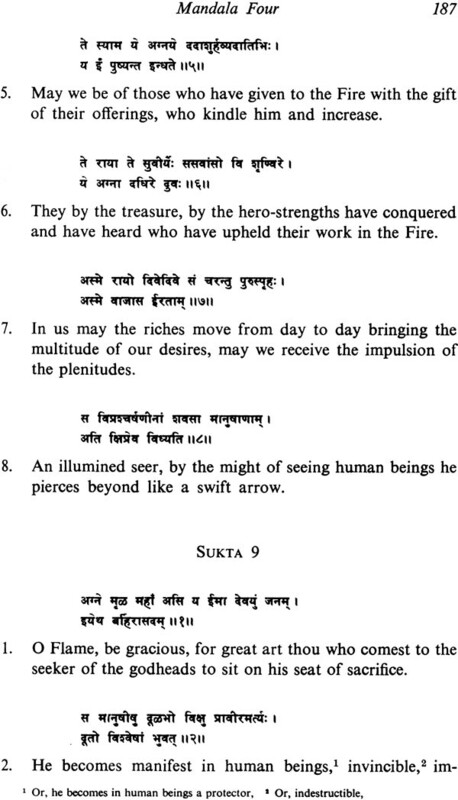 Did the writers of the Upanishads foist upon the Riks a meaning which was not there but read into it by their imagination or a fanciful interpretation? Modern European scholarship insists on having it so. And it has persuaded the mind of modern India. 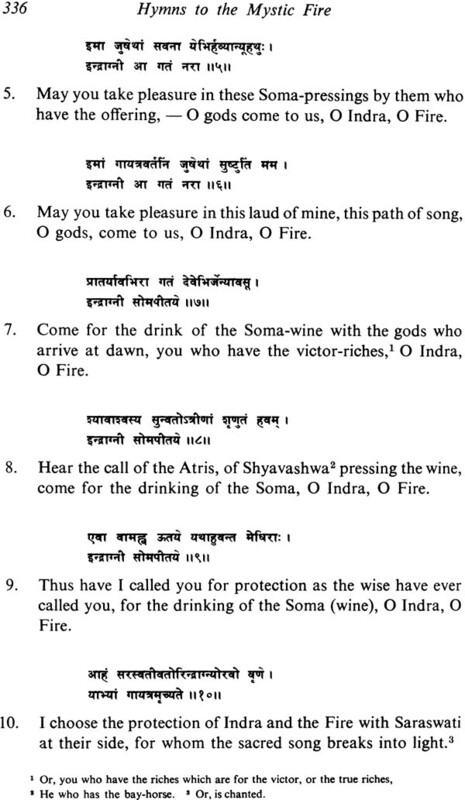 In favour of this view is the fact that the Rishis of the Veda were not only seers but singers and priests of sacrifice, that their chants were written to be sung at public sacrifices and refer constantly to the customary ritual and seem to call for the outward objects of these ceremonies, wealth, prosperity, victory over enemies. 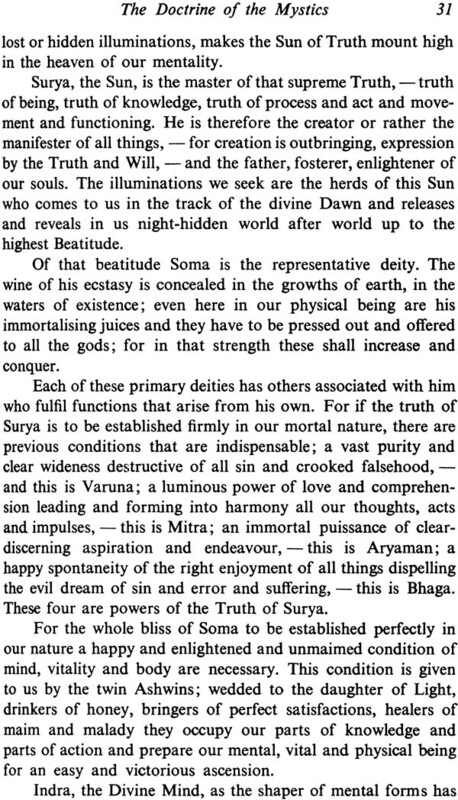 Sayana, the great commentator, gives us a ritualistic and where necessary a tentatively mythical or historical sense to the Riks, very rarely does he put forward any higher meaning though sometimes he lets a higher sense come through or puts it as an alternative as if in despair of finding out some ritualistic or mythical interpretation. 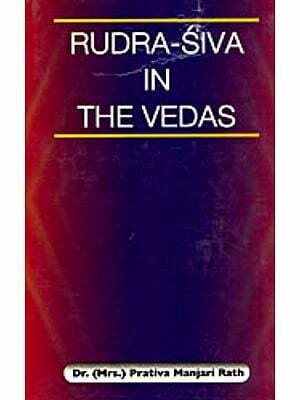 But still he does not reject the spiritual authority of the Veda or deny that there is a higher truth contained in the Riks. This last development was left to our own times and popularised by occidental scholars. 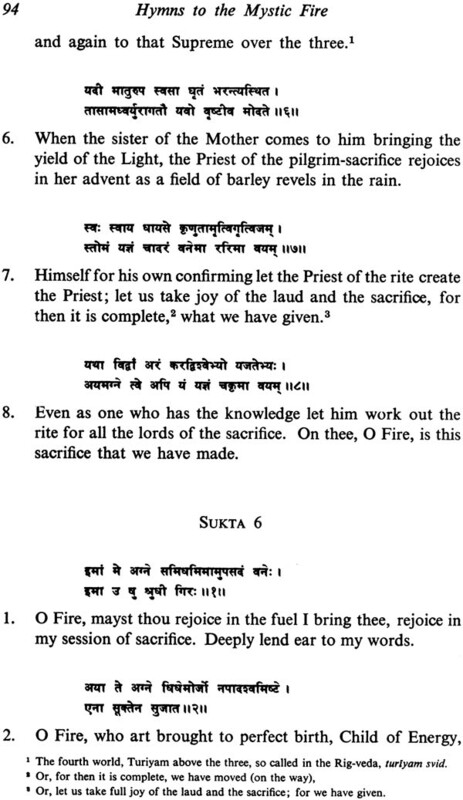 The European scholars took up the ritualistic tradition, but for the rest they dropped Sayana overboard and went on to make their own etymological explanation of the words, or build up their own conjectural meanings of the Vedic verses and gave a new presentation often arbitrary and imaginative. What they sought for in the Veda was the early history of India, its society, institutions, customs, a civilisation-picture of the times. They invented the theory based on the difference of languages of an Aryan invasion from the north, an invasion of a Dravidian India of which the Indians themselves had no memory or tradition and of which there is no record in their epic or classical literature. 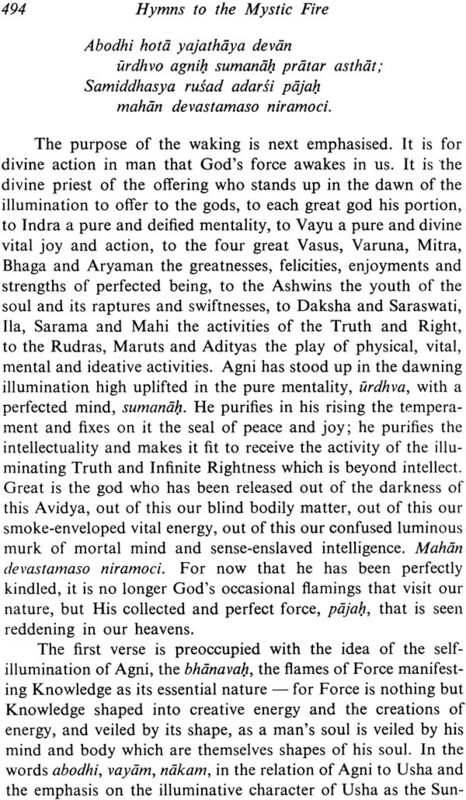 The Vedic religion was in this account only a worship of Nature- Gods full of solar myths and consecrated by sacrifices and a sacrificial liturgy primitive enough in its ideas and contents, and it is these barbaric prayers that are the much vaunted, haloed and apotheosized Veda. There can be no doubt that in the beginning there was a worship of the Powers of the physical world, the Sun, Moon, Heaven and Earth, Wind, Rain and Storm etc., the Sacred Rivers and a number of Gods who presided over the workings of Nature. 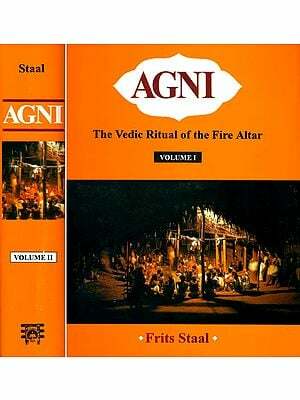 That was the general aspect of the ancient worship in Greece, Rome, India and among other ancient peoples. But in all these countries these gods began to assume a higher, a psychological function; Pallas Athene who may have been originally a Dawn- Goddess springing in flames from the head of Zeus, the Sky-God, Dyaus of the Veda, has in classical Greece a higher function and was identified by the Romans with their Minerva, the Goddess of learning and wisdom; similarly, Saraswati, a River Goddess, becomes in India the goddess of wisdom, learning and the arts and crafts: all the Greek deities have undergone a change in this direction - Apollo, the Sun-God, has become a god of poetry and prophecy, Hephaestus the Fire-God a divine smith, god of labour. In India the process was arrested half-way, and the Vedic Gods developed their psychological functions but retained more fixedly their external character and for higher purposes gave place to a new pantheon. They had to give precedence to Puranic deities who developed out of the early company but assumed larger cosmic functions, Vishnu, Rudra, Brahma, - developing from the Vedic Brihaspati, or Brahmanaspati, - Shiva, Lakshmi, Durga. Thus in India the change in the gods was less complete, the earlier deities became the inferior divinities of the Puranic pantheon and this was largely due to the survival of the Rig-veda in which their psychological and their external functions co-existed and are both given a powerful emphasis; there was no such early literary record to maintain the original features of the Gods of Greece and Rome. This change was evidently due to a cultural development in these early peoples who became progressively more mentalised and less engrossed in the physical life as they advanced in civilisation and needed to read into their religion and their deities finer and subtler aspects which would support their more highly mentalised concepts and interests and find for them a true spiritual being or some celestial figure as their support and sanction. But the largest part in determining and deepening this inward turn must be attributed to the Mystics who had an enormous influence on these early civilisations; there was indeed almost everywhere an age of the Mysteries in which men of a deeper knowledge and self-knowledge established their practices, significant rites, symbols, secret lore within or on the border of the more primitive exterior religions. This took different forms in different countries; in Greece there were the Orphic and Eleusinian Mysteries, in Egypt and Chaldea the priests and their occult lore and magic, in Persia the Magi, in India the Rishis. The preoccupation of the Mystics was with self-knowledge and a profounder world-know- ledge; they found out that in man there was a deeper self and inner being behind the surface of the outward physical man, which it was his highest business to discover and know. 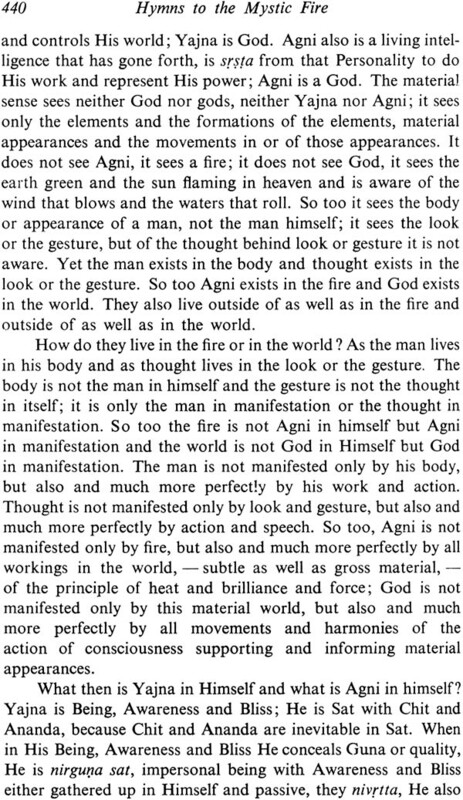 "Know thyself" was their great precept, just as in India to know the Self, the Atman became the great spiritual need, the highest thing for the human being. They found also a Truth, a Reality behind the outward aspects of the universe and to discover, follow, realise this Truth was their great aspiration. 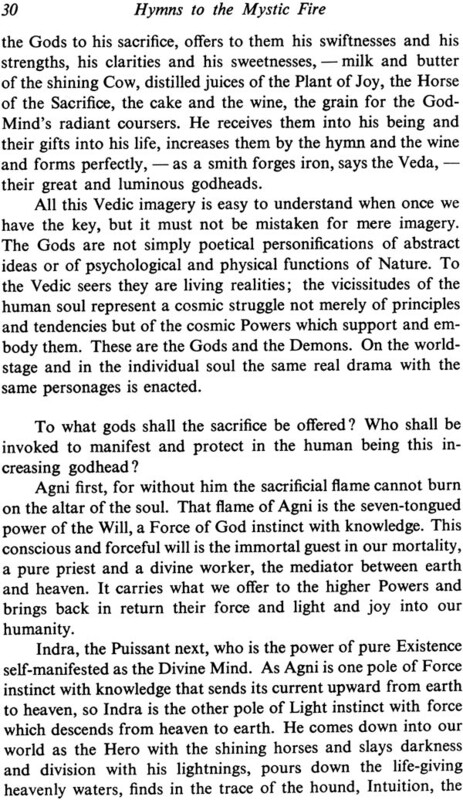 They discovered secrets and powers of Nature which were not those of the physical world but which could bring occult mastery over the physical world and physical things and to systematise this occult knowledge and power was also one of their strong preoccupations. But all this could only be safely done by a difficult and careful training, discipline, purification of the nature; it could not be done by the ordinary man. If men entered into these things without a severe test and training it would be dangerous to themselves and others; this knowledge, these powers could be misused, misinterpreted, turned from truth to falsehood, from good to evil. A strict secrecy was therefore maintained, the knowledge handed down behind a veil from master to disciple. A veil of symbols was created behind which these mysteries could shelter, formulas of speech also which could be understood by the initiated but were either not known by others or were taken by them in an outward sense which carefully covered their true meaning and secret. This was the substance of Mysticism everywhere. 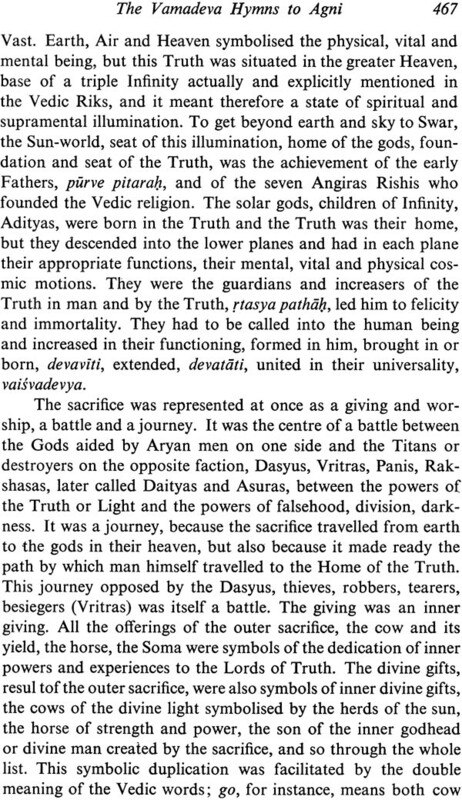 It has been the tradition in India from the earliest times that the Rishis, the poet-seers of the Veda, were men of this type, men with a great spiritual and occult knowledge not shared by ordinary human beings, men who handed down this knowledge and their powers by a secret initiation to their descendant and chosen disciples. It is a gratuitous assumption to suppose that this tradition was wholly unfounded, a superstition that arose suddenly or slowly formed in a void, with nothing whatever to support it; some foundation there must have been however small or however swelled by legend and the accretions of centuries. But if it is true, then inevitably the poet-seers must have expressed something of their secret knowledge, their mystic lore in their writings and such an element must be present, however well-concealed by an occult language or behind a technique of symbols, and if it is there it must be to some extent discoverable. It is true that an antique language, obsolete words, - Yaska counts more than four hundred of which he did not know the meaning, - and often a difficult and out-of-date diction helped to obscure their meaning; the loss of the sense of their symbols, the glossary of which they kept to themselves, made them unintelligible to later generations; even in the time of the Upanishads the spiritual seekers of the age had to resort to initiation and meditation to penetrate into their secret knowledge, while the scholars afterwards were at sea and had to resort to conjecture and to concentrate on a mental interpretation or to explain by myths, by the legends of the Brahmanas themselves often symbolic and obscure. But still to make this discovery will be the sole way of getting at the true sense and the true value of the Veda. 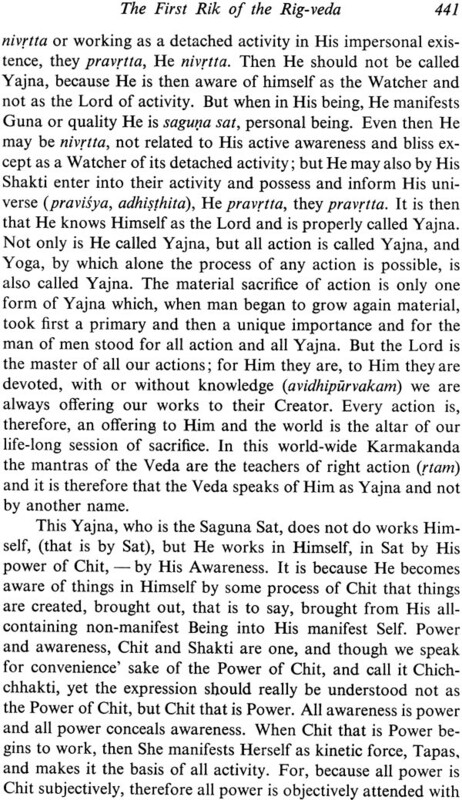 We must take seriously the hint of Yaska, accept the Rishi's description of the Veda's contents as "seer-wisdoms, seer-words", and look for whatever clue we can find to this ancient wisdom. Otherwise the Veda must remain for ever a sealed book; grammarians, etymologists, scholastic conjectures will not open to us the sealed chamber.